Immigrants make up 13% of the U.S. population. They come here in pursuit of the American Dream, an opportunity for a better life in exchange for hard work. For many, their unique skills and fresh perspectives lead them to entrepreneurship. That may explain why one small-business owner in six in the U.S. is an immigrant, according to a recent report by the Fiscal Policy Institute's Immigration Research Initiative. Professional and business services, such as waste-disposal services and office administration and cleaning, boast the largest number of immigrant business owners, followed by retail, construction, educational and social services, and leisure and hospitality industries. "Immigrants are such a varied group with people from countries all around the world that have a wide range of skill sets . . . and these [fields] have always been a natural fit" both locally and nationally, says David Dyssegaard Kallick, director of FPI's Immigration Research Initiative. The seven entrepreneurs featured here come from diverse backgrounds. They made their millions (and, in one case, billions) in industries ranging from Internet technology to restaurant services. Here are their stories. Her advice to immigrant entrepreneurs: "There is no better place in the world for an immigrant to succeed than in the U.S. Follow your dream and make it happen." Moving from the Philippines to Westchester, N.Y., to attend Manhattanville College in 1964 was a complete culture shock for Natori. "The cold winters, the food and the sense of humor were just different. I was very homesick," she told Kiplinger. But it never stopped her. After earning an economics degree, she went to work for Bache & Company on Wall Street, moving to Merrill Lynch in 1971. But climbing the corporate ladder wasn't enough. "While I loved the [corporate] culture, I also had a very strong desire to build something myself," she says. In 1974, Natori became a U.S. citizen. And after giving birth to a son in 1976, she and her husband Ken brainstormed a variety of ideas for starting her own business -- from opening a car wash to running a McDonald's franchise. It was by chance in 1977, however, that she would become a high-end women’s sleepwear designer after showing a nightgown (made from what was originally a hand-embroidered blouse) to a buyer at Bloomingdale's. In the early days, Natori ran her company solo. "It's easy to take for granted the amount of work that goes into [making] the clothes you see in stores," she says. "There are so many elements -- from the design concept to production -- that all need to work in order to make something happen." Today, she has nearly 400 employees. Her husband is chairman, and her son, Kenneth, is vice-president of finance and e-commerce. Her business has expanded to include fragrances, eyewear and home décor. In 2011, Natori teamed up with mass retailer Target for a budget-friendly line of lingerie and loungewear. That same year, her company generated $150 million in retail sales. "Some people may see their immigrant status as an obstacle," she says. "I have always viewed it as one of my biggest assets. Natori is unique in the design world, because of its East-meets-West aesthetic. All of that is due to my background and heritage." His advice to immigrant entrepreneurs: "Anybody can achieve the American dream. You've got to be focused, educated, have discipline, and just go for it." Shortly after moving to the Bronx from Jamaica in 1981, Hawthorne, 21, green card in hand, landed a job as an assistant stock handler with the New York Police Department. He earned an associate's degree in accounting from Bronx Community College and was eventually promoted to accountant. But entrepreneurship beckoned. 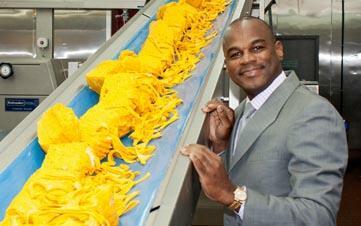 Hawthorne had watched his father operate a bakery in his native Jamaica and knew he wanted to work alongside family. So he pitched the idea for Golden Krust, a Caribbean-themed, family-style eatery, to his seven brothers and sisters who had also come to the U.S. At first, they couldn't get a small business loan. "The banks were hesitant to grant loans to new restaurants because of the failure rate -- especially niche restaurants such as ours," Hawthorne recalls. "We also didn't have a lot of personal assets to guarantee the loan." So the siblings took out second mortgages on their homes and borrowed money from family and friends, raising $107,000. In 1989, the first Golden Krust restaurant opened in the Bronx. In 1991, Hawthorne left his job with the NYPD for good. The next year, he became a U.S. citizen. There are now more than 100 Golden Krust locations in nine states along the Eastern seaboard. Hawthorne and Golden Krust have been profiled in major publications such as The New York Times, the Washington Post and Black Enterprise magazine. In 2011, the company generated $100 million in revenue. Hawthorne says in addition to opening more franchises, there are plans to expand the company with a line of cooking sauces. His advice to immigrant entrepreneurs: Don't let others' negativity discourage you from achieving your goals. "Aw-nold" wasn't always a famous face with a big bank account. He's originally from Thal, Austria, and immigrated to the United States in 1968 at age 21. His meal ticket back then was body-building. Schwarzenegger would eventually become a five-time Mr. Universe and seven-time Mr. Olympia champion, which helped open many doors for him -- especially in Hollywood. From 1969 to 1980, he was cast in a series of small roles in films such as "Hercules in New York" and "Stay Hungry." When he was cast as the title character in the 1982 film "Conan the Barbarian," Schwarzenegger's acting career took off. He became a U.S. citizen in 1983. One year later, he starred in "The Terminator" and has gone on to star in more than 20 films. Schwarzenegger's entrepreneurial ventures include the Arnold Sports Festival, which he started in 1989 and is held annually in Columbus, Ohio. It hosts thousands of international health and fitness professionals and has expanded into a three-day expo. He was one of the founding celebrity shareholders in the Planet Hollywood restaurant chain that opened in 1991. Schwarzenegger also owns Oak Productions, Inc., a movie production company, and Fitness Publications, a publishing interest with Simon & Schuster. In 2003, he ran for governor of California, and won, ultimately serving two terms. 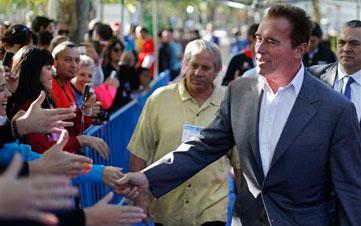 Today, Schwarzenegger is worth an estimated $300 million. His films have grossed $1.6 billion domestically. In October, he published his memoir "Total Recall: My Unbelievably True Life Story." Earlier this year, he was profiled in ESPN's "30 for 30" short documentary-film series. During that interview, Schwarzenegger discussed how early in his career, he refused to let naysayers stop him from pursuing his dreams: "I didn't pay any attention to it. . . I did not listen to the 'no' . . . and it worked out. I used that attitude as a blueprint for the rest of my life." "If you have an idea, put it out there and then figure out how to improve it. Look beyond the bottom line and toward the bigger impact." Kabani came with her family to the United States from India in 1994 at age 9. Kabani's father drove a taxi, and her mother ran a café, which she later turned into a Subway franchise. "I saw them work hard and doubly so because they were in a new country trying to adjust. They worked very long hours, and I was a latchkey kid well into high school," she told Kiplinger. By age 10, Kabani had started her first business selling gift wrapping paper, with her younger sister working as her assistant. In 2008, she earned a master's in organizational communications from the University of Texas at Austin, where she wrote her thesis on the impact of Twitter and social media. "When I finished grad school, I knew I wanted a job in social media. I applied to several companies, but no one would hire me." The demand for social media professionals simply there yet. Instead of letting rejection discourage her, Kabani founded the Marketing Zen Group, a full-service online marketing and digital PR firm. 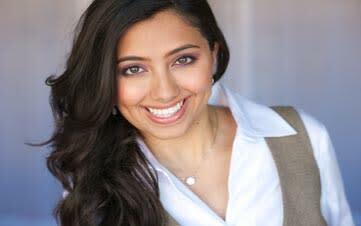 Today, Kabani's company has gone from being a one-woman show to employing 30, including her husband Arshil, who serves as vice president and legal counsel. In 2011, annual sales reached around $1 million, a figure that is expected to double in 2012. Kabani has been featured in national publications such as Forbes, Bloomberg Businessweek and Entrepreneur. Kabani took her oath to become a naturalized citizen on October 29. "It's been a long process that took three years,” she says. Her husband is a natural-born citizen, so she was able to apply through him. For other aspiring immigrant entrepreneurs, Kabani advises: "Pursue entrepreneurship if you have a passion for something. A lot of people see it as a way to make money -- and it shouldn't always be about that." "Success will come from simplicity." During a wave of resurgent anti-Semitism, Brin's family left Moscow for America in 1979 when he was 6 years old. They settled in Adelphi, Md. Brin followed in the footsteps of his father, a mathematician and economist, by earning a B.A. in mathematics and computer science in 1993 at the University of Maryland. From there, it was on to Stanford University where Brin received a masters of science and Ph.D. It was at Stanford that he met Larry Page. The now-legendary duo later came up with the idea for Google, launching the search engine in 1998. When the company went public in 2004 (opening at $85 per share), Brin became a billionaire overnight. His net worth is now $22.5 billion. These days, Brin continues to innovate. Google teamed up with fashion designer Diane von Furstenburg during Mercedes-Benz Fashion Week earlier this year. The models in her show captured their runway experience wearing Google Glass, technology-driven eyewear that allows users to take pictures and send messages. The product has generated lots of interest in the tech world. 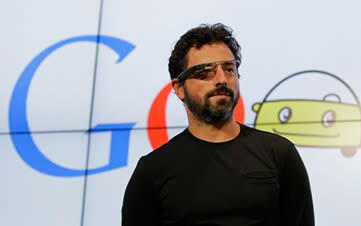 In September, his company also announced its newest project, Google for Entrepreneurs. It's aimed at connecting business owners with local programs and online resources to help their companies get off the ground. In 2007, Brin was included in a CNN Money feature that asked several prominent entrepreneurs to share how they were able to achieve such success and stay ahead of the curve. He stressed how keeping things simple at Google -- focusing on a few small projects and doing them really well -- has helped the company become a household name: "Technology has this way of becoming overly complex, but simplicity was one of the reasons that people gravitated to Google initially . . . success will come from simplicity." His advice to immigrant entrepreneurs: "Never let discrimination be an excuse for not being successful." Castro fled to California from civil war-torn El Salvador in 1980 at age 26, forced to leave his wife and young children behind. "At the time, I worked in the factories. The guerilla unions were taking over the factories and the jobs . . . there were many kidnappings and killings," he told Kiplinger. Castro, who entered the U.S. illegally, eventually landed in the Washington, D.C.-area. He worked as a janitor and as a dishwasher and cook at a restaurant before becoming a legal resident in 1986. He started working construction and saved enough money to reunite with his family in D.C. By 1987, he had opened a small construction business of his own. 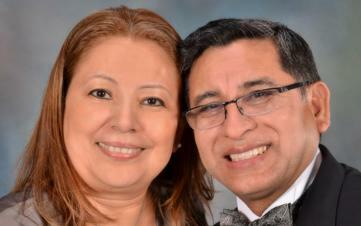 In 1988, a family friend suggested that he and his wife Gladis start a Hispanic grocery store. The couple spent the next couple of years trying to learn as much as possible about starting a small business. Once they had enough money, they opened the first Todos Supermarket in Woodbridge, Va., in 1990. The first year was rough. Money was tight, and both Carlos and Gladis still had to work other jobs to help make ends meet at home. "My wife was making more cleaning houses than we were at the first store," Castro recalls. He eventually turned things around and opened a second Todos location in Alexandria, Va., in 1998. By 2001, business had grown so much that he had to move the first store from its 5,000-square-foot space to a 15,000-square-foot building. "That's when profits really started to roll in," Castro says. In 2007, he opened another location in Dumfries, Va.
Todos Supermarkets took in $15.9 million last year and projects sales of about $18 million for 2012. When it comes to starting your own company, there will be plenty of naysayers, Castro says. "That's why it's important to always believe in yourself." His advice to immigrant entrepreneurs: "Do it right and nobody can stop you." At the age of 14, Flores made a month-long pilgrimage from El Salvador to Philadelphia to escape the country's brutal civil war. If he had remained in his homeland, he would've had one of two options: Join the guerillas or join the army. "The guerillas would come to our house," Flores told Kiplinger. "We had to hide. You couldn't say no because then they would think you were on the army's side and shoot you. A few hours later, the army guys would come and say, 'We want food. We want to take you.' If you said no, they'd think you were with the guerillas." Upon arriving in D.C., Flores worked part-time cleaning offices while attending Lincoln Middle School. “I didn’t have enough money to buy a French fry,” he says. At 15, he left school to work full-time in construction, using falsified documents that said he was 18. “Fake ID, fake Social Security, everything was fake. Nobody checked,” he says. He later became eligible for a legal work permit (he is now a U.S. citizen). By age 25, he had learned the concrete business and was supervising a crew of 50, earning more than $60,000 a year. Despite having secured himself a good job, Flores dreamed of starting his own business. 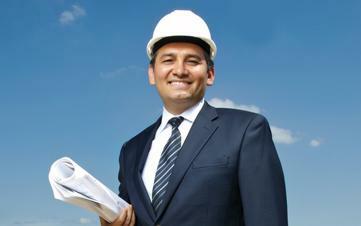 Ten years ago, he used savings and a line of credit to start W Concrete, in Jessup, Md. One of the company’s first jobs was to pour the concrete for the building that replaced Lincoln Middle School. Last year, the business brought in $6.6 million. "Most Salvadorans are humble people who will do whatever it takes to get ahead," says Flores. "In my country, there's no opportunity for poor people. The rich get richer and richer. The poor will always be poor and poor. Here, do it right and nobody can stop you."